Our U.S. fulfillment center is located near Canada, and is situated between the East and West coasts of the United States. This allows our Canadian clients to cost-effectively ship products to both their U.S. and Canadian customers from one fulfillment center, saving on inventory costs and management headaches. eFulfillment Service allows our clients to maintain constant visibility over their fulfillment operations from anywhere in the world. With our web-based Fulfillment Control Panel (FCP), you are able to monitor orders in real time and keep track of the level of inventory in our U.S. fulfillment house. With eFulfillment Service, order fulfillment is made easy. There are no setup costs, no minimums, and no tricky or hidden fees. You pay only for the service you use, and there are no long-term commitments. Our fulfillment service is fast, proven and accurate, and our clients receive personal support from our in-house customer service and IT teams. If you’re considering outsourcing fulfillment to the U.S. for the first time, or are comparing eFulfillment Service to your current provider, our Test Drive program may be for you. 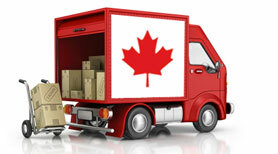 For over a decade, we have helped Canadian-based online sellers to more efficiently and cost-effectively get products to their U.S. and Canadian customers. Allow us to prove why eFulfillment Service has become the trusted name in U.S. order fulfillment. Request fulfillment pricing today and learn more about our Test Drive Program.